A migraine is an incredibly painful and highly debilitating headache that many of us experience from time to time. Tell anyone who understands that you have a migraine and you will instantly be greeted with sympathy and caution – they know how serious this is and how much space you need. What makes a migraine so inconvenient is the fact that it affects the very ability you have to think. Suffer from a bad back and you’ll find it interferes with much of what you want to do – moving any limb or even just walking/bending will cause it to hurt and risk further damage. With a migraine however you can’t even sit still and read without pain and moving or even hearing noise can cause further pain. And a migraine isn’t just any headache either – only the most severe headaches, usually complete with flashing lights, cold sweats, vomiting and blind spots (scotoma) are counted as true migraines. If you’ve ever had a migraine then, you’ll probably be hoping to avoid encountering one again, which is why it can be infuriating that they can seem to come on so randomly and unannounced. Here then we will look at some of the potential causes of migraines so that you can avoid them in future. The biology behind real migraines is something that is common in all cases. Migraines are caused by the enlargement of blood vessels located outside the skull and just under the skin. If you feel a sharp pain under one eye, or at the side of your head, then that’s why. Meanwhile the altered blood flow in the brain can affect the visual region thus resulting in the flashing lights and other visual ‘auras’ (migraine with auras). In some cases the blood flow changes can cause auras without the migraine itself – known as ophthalmic migraines. A ‘retinal’ migraine meanwhile describes migraines caused by vascular ‘spasms’ that affect one eye leading to flashing lights and scotomas only on that side, usually accompanied by pain. The precise symptoms can vary from individual to individual though and will depend on the precise nature of the restricted blood flow. In most cases as a result of the dilation or spasm your body then releases chemicals that lead to inflammation and pain and the sympathetic nervous system responds with nausea and potential vomiting/diarrhoea. Blood circulation may also decrease leading to cold extremities and you will find yourself more sensitive to light and sound. You may also experience confusion and auditory or even olfactory hallucinations. For many people migraines are a rare occurrence that come on largely unannounced. If you fall into that category then the best solution is to simply go to bed when you start experiencing the pain or throbbing sensation. 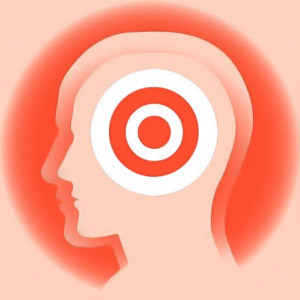 If you are able to identify the precise triggers then you will be able to avoid the conditions that lead to migraines. You should also make sure to be seen by your physician to ensure that there are no other underlying causes.